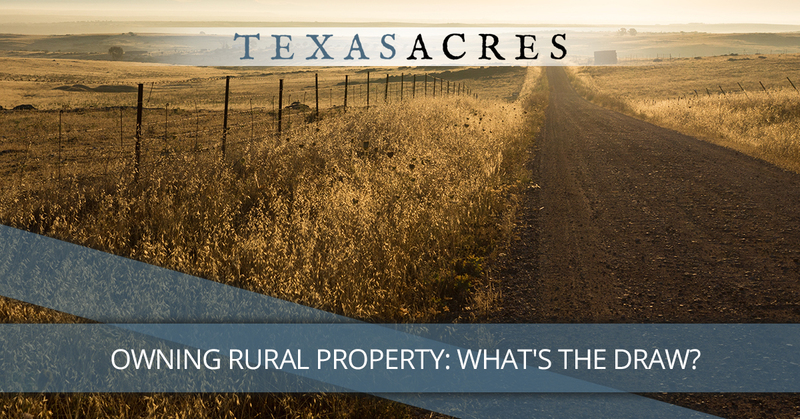 Owning rural property in Texas is what we specialize in helping people to do here at Texas Acres, but it’s a completely different thing than owning a piece of land in the suburbs or an urban area. There, you’re typically looking for a great balance between the price of land and the nearby amenities, such as schools, shopping centers, entertainment, and accessibility. However, when you’re in the market for rural property, what you’re looking for is typically quite different. So what’s the draw? Why buy rural property? Here are just a few reasons that people buy land in rural areas. Rural property is often more affordable, making it an attractive investment for a broader range of people. It doesn’t matter how much money you have to invest in land; saving money makes sense and cents. For purposes of comparison, the most expensive land we found in Texas is in Houston’s posh River Oaks neighborhood, where the median land value is $149 per square foot. There are 43,560 square feet in one acre, making the price per acre in River Oaks round out at a whopping $6.5 million per acre. Compare that to our prices per acre (typically in the range of approximately $4,000 – $8,000 per acre) and you’ll quickly see how much more bang you could get for your buck when you buy rural property. Whether you love the sound of the birds singing in the morning, the look of wind rustling through the grass, the brightness of the stars at night, or the wildlife that you can frequently spot, there’s no doubt about it: there’s something special about land in the country. Plus, there’s more than just poetic beauty and a feast for the eyes when you buy rural land. The air is cleaner, too, bringing your lungs a bit of welcome relief from the smog and pollution of more heavily-populated areas. Tired of being the gazingstock of your neighbors? Fed up with having to keep the blinds closed 24/7 because people could look right into your windows? Annoyed by the constant noise of lawn mowers, people’s stereos, or honking horns? Say goodbye to all of that when you get a piece of land to call your own in a quiet rural area. If you’re an introvert or just need a getaway spot to disconnect from technology occasionally, rural property is perfect. The use you want to make of your land will make a difference in whether or not you choose a piece of property that’s rural. Owning land in the city doesn’t always make the most sense, unless you’re building something like a commercial building. You have completely different options when you buy land in the country, giving you opportunities that you might not get any other way. When you work with Texas Acres, you’ll not only get a team that values honesty, integrity, and hard work. You’ll also have the opportunity to find owner-financed land, making it even easier for you to acquire the property of your dreams. Contact us today to get started.